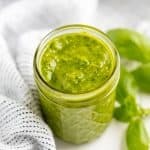 Simple Basil Pesto is easy to make using fresh basil leaves and stays good in the fridge for several days. Use it on pastas, sandwiches, gnocchi, pizza, and more! 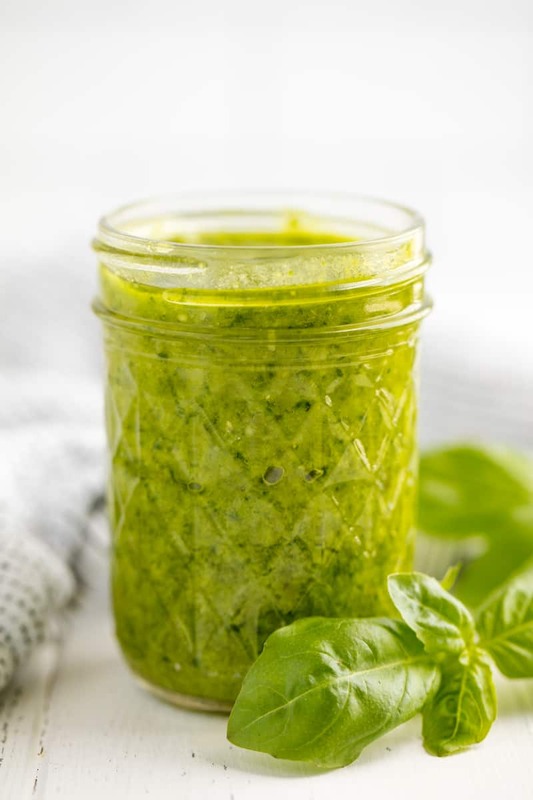 Can you freeze fresh basil pesto? Yes! Pesto can be frozen in an airtight container for up to 6 months. For small portions, divide the pesto up into an ice cube tray and place in the freezer. Once the pesto cubes are frozen, transfer them to an airtight container for longer storage. 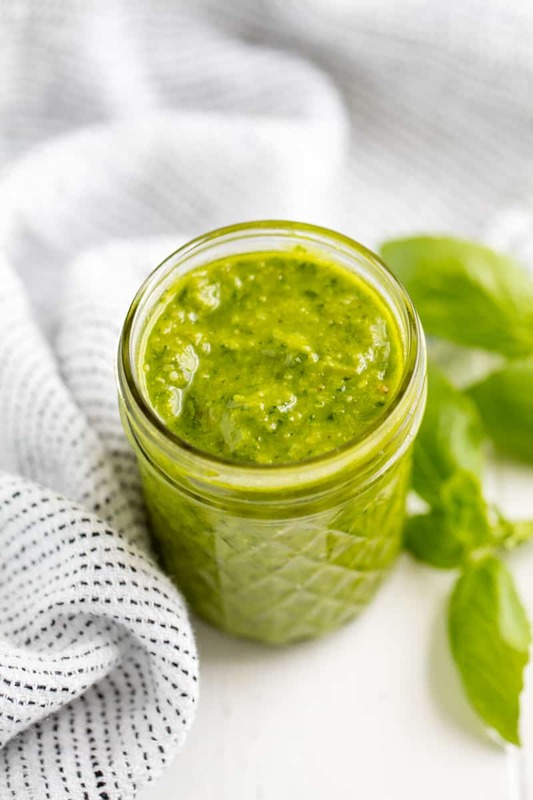 How long will fresh basil pesto stay good in the fridge? Pesto will stay good in the fridge in an airtight container for approximately 3 to 5 days. What can you use instead of pine nuts in pesto? Pine nuts can be very expensive so it is common for people to seek out a substitution for pine nuts when making pesto. Sunflower seeds are one of the most inexpensive substitution options. You can also use walnuts, pecans, or almonds. Measure the fresh basil leaves by loosely packing them into a measuring cup. Place the leaves into a food processor or blender. Add in garlic, parmesan cheese, olive oil, and pine nuts. Blend until fairly smooth. Store in an airtight container in the fridge for 5 to 7 days. This sounds delicious. Looking forward to more recipes.